round dining table. 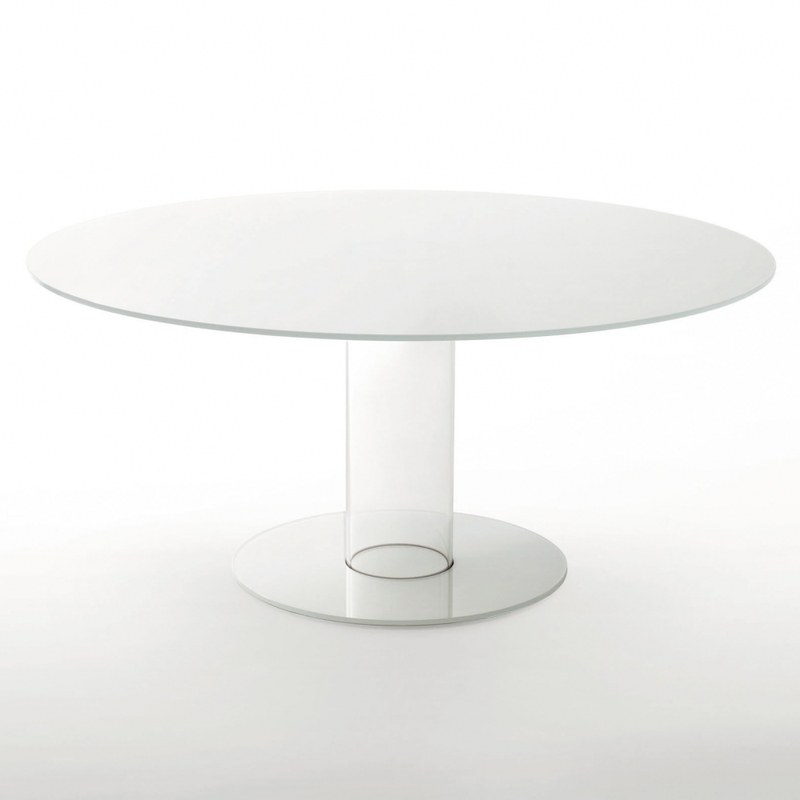 the top in tempered glass 12mm thick is supported by a base composed of a hollow cylinder in transparent borosilicate glass and a foot in glass 12mm thick provided with ballast. the top and the foot are available in lacquered or opaque satin glass (no silver acid-etched 71).